On Monday afternoon at 4 p.m., eight Missouri Democrats began what would turn into the longest filibuster in state history in an attempt to block legislation that would make it constitutionally permissible to discriminate against the LGBT population. Early Wednesday morning, after 39 hours, state Republicans turned to an obscure procedural move to terminate the filibuster and force a vote. The legislation (SJR 39) was initially approved 23-9 (another report has the vote at 21-11). It will still have to be voted on in the state Senate one more time before making its way to the House. The maneuver used to cut off debate Wednesday is called “moving the previous question.” With a simple majority vote, a filibuster can be ended and a vote can be forced. Senate leaders have historically been hesitant to utilize the procedure because it generates lasting bitterness among lawmakers. Last year, for example, GOP leaders used the “previous question” motion on a right-to-work law, and Democrats shut the Senate down and killed all but one remaining bill as retribution. 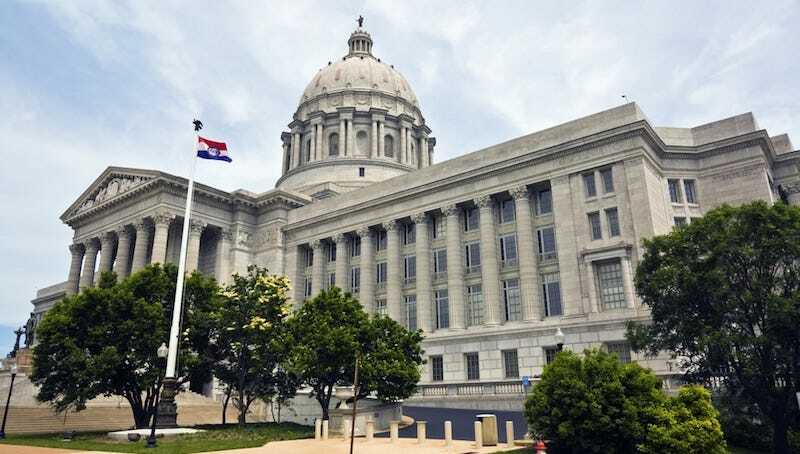 In 1999, Missouri Senate Democrats lasted 38 hours (divided over five legislative days) filibustering a bill that would ban a form of late-term abortion.